We’ve been working with Horsham Time Well Spent for a while now, producing videos featuring a family of actors (The Symes) which promote events and offers within Horsham. 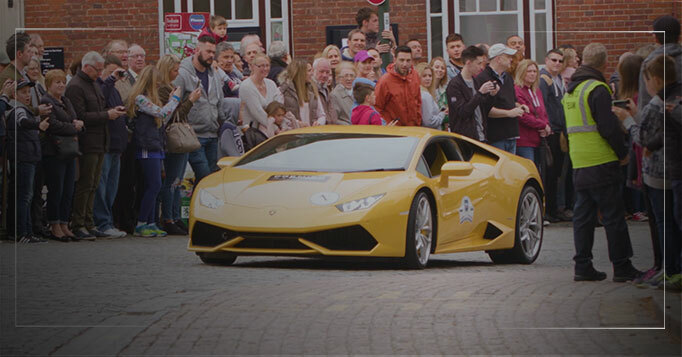 Every year, 100,000+ people descend on Horsham for the three day Piazza Italia Horsham festival which is filled with supercars, Italian food, market stalls and a whole lot more. This year, Horsham Time Well Spent wanted a different approach to the video coverage for the event, so we sent the Symes family down and split them into the boys and the girls, to take in various parts of the event. This video here is the girls and shows them watching the supercars, taking part in a fashion show, visiting the market and enjoying a good bit of Italian food in town. Over in the boys video, they check out the KwikFit tyre stand, have some virtual car racing fun and check out a lot of cars. Filming at events like this means we have to on our toes with regards to being at set events at set times but also being flexible enough to capture actions and moments as they arise throughout the day. We had so much to cover at this event that we had two units filming, one to cover the boys and one the girls, meeting up at different stages throughout the day to cross-over into a number of shared activities.